Tom is a veteran of four successful communications start-ups: Cyan, Calix, Cerent and Advance Fibre Communications. Tom co-founded Cerra and Calix and served in numerous executive leadership roles during his career driving market and product strategy, product line management, marketing, corporate development, and manufacturing operations from company inception through IPO and acquisition stages. Tom loves the art of building cultures, teams, and products and thrives on developing product and market insertion strategies and winning against large established market players. Tom holds an BSEE and MSEE from Georgia Institute of Technology. Zsolt has a long history of building innovative products and teams that solve hard problems in new ways by adopting emerging technologies. He brings over 20 years of hands-on software expertise. A former CTO of Ciena’s Blue Planet Division, and the CTO of Cyan Inc prior to that, he has led the development and introduction of many key software technologies and product families, including 3D multi-layer network visualization, cloud-scale and container based architectures, the Blue Planet platform, NFV/network orchestration platform, and most recently a CORD-based network access platform. In his free time he likes to read quality open source code. Nathan Knuth has a proven track record of leading successful teams as they bring telecommunications products to market. Most recently a VP at TiBit, Nathan also helped recruit and shape the software team at Cyan as the Director of Software Engineering, and previously managed the PON blade for Tellab's highly-successful FTTH offering. Nathan has a BS in Electrical Engineering from the University of Notre Dame and a MSE in Telecommunications and Networking from the University of Pennsylvania. Nathan also sits on the board of the Woodstock Telephone Company, a small independent communications company in rural Minnesota. When not developing and testing new features, Nathan enjoys spending time with his family and going for long bike rides in the hills of Sonoma County. Ali Al-Shabibi received his PhD from Heidelberg University while doing his research at CERN (European Centre for Nuclear Research) where he designed and built the ATLAS Trigger and Data Acquisition Network. Ali holds a BSc and and MSc in Computer Science from the Swiss Federal Institute of Technology (École Polytechnique Fédérale de Lausanne, EPFL).Following his PhD, Ali joined Stanford as a Postdoc where he worked on SDN tools and applications. At Stanford, Ali maintained FlowVisor a network hypervisor at the heart of the GENI testbed. 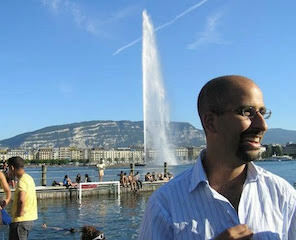 Ali was also the founding employee of the Open Networking Laboratory where helped build the software team. At ON.Lab, Ali designed and built ONOS (Open Network Operating System) and CORD (Central Office Re-architected as a Datacenter). He now sits on both Technical Steering teams. In his free time, Ali likes to play tennis, ride his bike and contribute to open source projects. Richard has a proven history of bringing innovative products to the market with more than 20 years of experience. He was previously Vice President, Global Solutions Architecture at Ciena’s Blue Planet Software division (formerly Cyan) where he drove the market introduction of the industry-leading Blue Planet Orchestration Platform. Richard knows the challenges of bringing products to market through his experience as a software developer, software team manager, and product manager. Prior to Cyan, Richard was at Tellabs, Mahi Networks, and Applied Digital Access. Richard holds a B.S. in Electrical Engineering from Oklahoma State University.